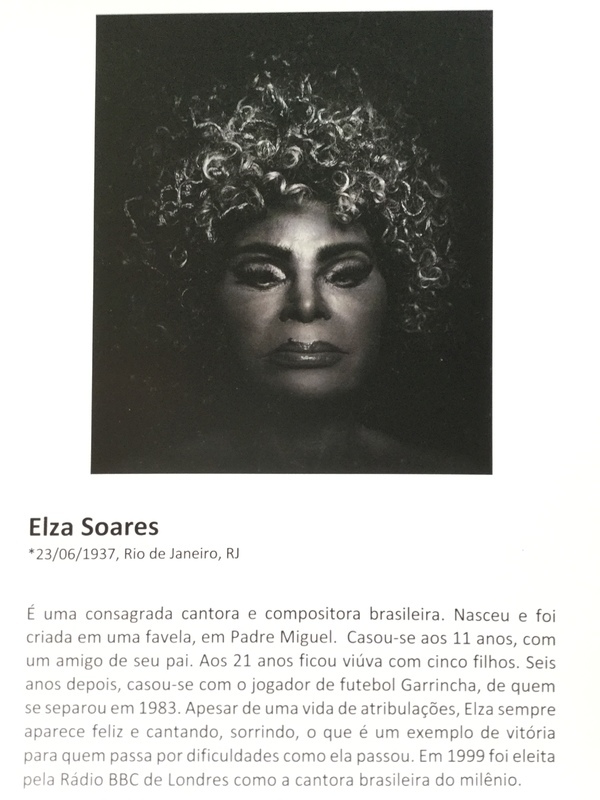 translation: The most revered Brazilian singer and composer was born and raised in a favela in Padre Miguel. She was married to a friend of her father's at the age of 11. By the age of 21, she was a widow with 5 children. Six years later, she married the football player, Garrincha, whom she divorced in 1983. In spite of a life of tribulations, Elza always appears happy, singing and smiling, which is an example of victory for those who have passed through similar difficulties in life. In 1999, London BBC Radio elected her as the Brazilian Singer of the Millennium.